In the first sign of the business-like approach the Trump administration is likely to take to large-scale defence contracts, the Pentagon has ordered a review of the F-35 stealth fighter jet programme, according to media reports. At an estimated $400 billion over the next few years, the F-35 is the Department of Defense’s most expensive equipment programme, which has been plagued by setbacks and budgetary constraints. Setbacks have included major delays with the F-35B variant as a result of weight reduction initiatives and the entire US Navy and Air Force fleet was temporarily grounded on 3 July 2014 after an F-35 fighter jet caught fire during take-off at Eglin Air Force Base in Florida. 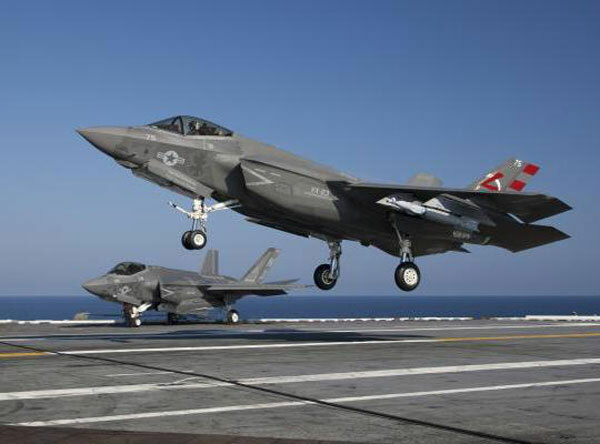 According to the latest reports, US Defense Secretary James Mattis has asked the Deputy Secretary of Defense, Robert Work, to oversee a review of the F-35 project to find ways to significantly reduce the cost of the jets. On the 30 January, Reuters reported that President Trump stated that he was able to cut $600 million from the cost of 95 F-35 Joint Strike Fighters—out of a total of 3,000 planes—that the US plans to acquire. Trump claimed that future cost savings would be even larger as more planes were bought and the administration looked at other contracts. 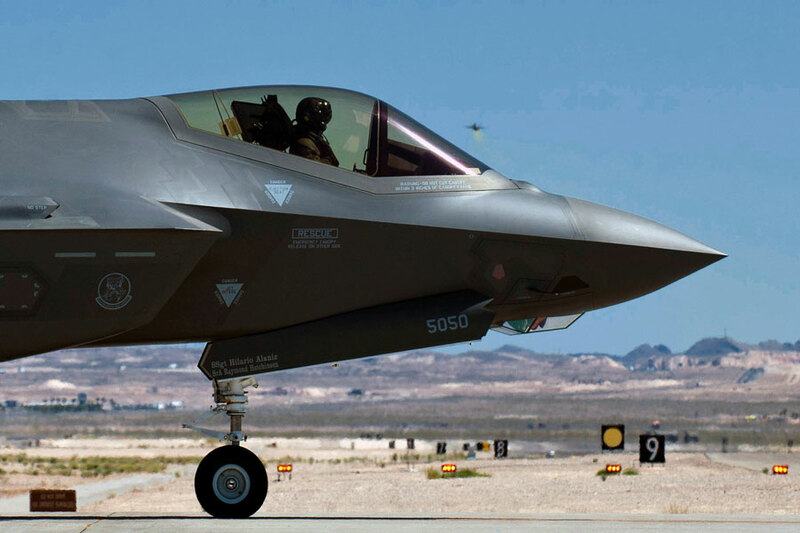 Justin Bronk, Research Fellow, Airpower and Technology at the Royal United Services think tank in the UK, says the Pentagon's review of the F-35 programme is significant in that Trump is using political pressure to drive a harder bargain on costs with the manufacturer Lockheed Martin. The review is unlikely to affect the future of the JSF programme, says Bronk. However, he suggested that the worst possible outcome for Lockheed Martin is that the review could potentially see the F-35C carrier-based CTOL variant for the US Navy and Marine Corps cut or scaled back as it is the most expensive and the most problematic of the three variants. It is also the variant being ordered in smallest numbers and the US Navy already operates the F-18E/F Super Hornet, which President Trump has suggested as an alternative to the F-35. On a website dedicated to the F-35 programme, Lockheed Martin said that an F-35A purchased in 2018 and delivered in 2020 would cost $85 million, which is the equivalent of $75 million in today’s dollars. The website stated that In August 2013, the F-35 Joint Program Office reported a 22% drop in operating cost estimates across the 55-year life of the F-35 Lightning II. Those estimates included expenses like spare parts, repairs and fuel. More than 200 F-35s have already been delivered and the US Air Force and Marine Corps have declared initial operating capability for the F-35A and F-35B variants of the aircraft. Secretary Mattis is also reported to be reviewing the $4 billion price tag for the President’s new Air Force One aircraft to be built by Boeing. In December, Boeing’s CEO, Dennis Muilenburg, vowed in a private meeting with then President-elect Trump to keep the price below $4 billion. In an interview with Fox News, Trump also indicated that he wanted to reduce the cost of US Navy submarines. "We're lacking submarines and we're going to build new submarines but the price is too high so I'm cutting the prices way down," Trump is reported to have said in the interview, which was broadcast on 27 January. Just how he intends to cut the prices down, is unclear, however.